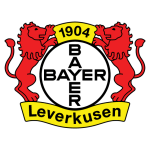 Fortuna Dusseldorf vs Bayer Leverkusen predictions for the mid-week Bundesliga. Leverkusen look to make it back-to-back league wins when they travel to the ESPIRIT arena to face Dusseldorf on Wednesday. Read on for our free betting tips and match preview. Fortuna Dusseldorf, who were crowned Bundesliga 2 champions following a dramatic final day victory back in May, look to have settled in well to the top flight. Fortuna are 9th in the table with five points after four matches, being unlucky to have lost their opener against Augsburg (2-1 defeat), having worked hard to take points away from RB Leipzig (1-1 draw) and Stuttgart (0-0 draw), and having gotten their first win of the season against Hoffenheim last time out at the ESPIRIT arena (2-1 win). New recruit Alfredo Morales already has a goal under his belt and other summer signings like Dodi Lukebakio, who scored the winning goal off the bench against Hoffenheim, and Marvin Ducksch, who bagged one in the DFB Pokal first round against Koblenz, are looking solid enough too, so coach Friedhelm Funkel must be content in terms of his attacking options. Leverkusen’s thrilling second-half comeback against Ludogorets in the opening game of their Europa League campaign on Thursday is exactly what was needed to kick start their season. Herrlich’s men followed that up with a strong performance at home to Mainz 05 on Sunday – though they were limited to just a 1-0 win – and no doubt they’ll be eager to continue making amends to their worst ever start to a Bundesliga season (L3) on Wednesday. Coach Herrlich opted for change against Mainz with midfielder Kai Havertz, who scored a brace against Ludogorets, squeezing his way into the starting line up to support striker Lucas Alario (9 goals in 23 league outings las season) going forward. It’s unlikely he will change the 4-4-1-1 formation that has served them so well over the last week, but some rotation could be expected, with this marking their fourth match in ten days. So where does that leave us ahead of this game? Well, after looking over everything, there looks some value in backing Leverkusen to come away with a win on Wednesday. 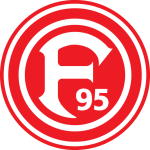 Although having made some reasonable investment over the summer, Fortuna Dusseldorf are still one of the much weaker sides overall in the Bundesliga, and it doesn’t look as if they’re much better equipped now than in their last season in the top flight – Dusseldorf lost 9 of their final 12 league matches before relegation from the Bundesliga in the 2012/13 season (D3 L9). Leverkusen, meanwhile, have been displaying all the right signs of a team motivated to start getting results after a poor spell. Now you might be looking at Leverkusen’s away form and be thinking, that sounds a bit of a stretch – Die Werkself have won just four of their away matches in the league in 2018 (W4 D2 L4) – but all but one of these defeats has been against sides that finished in the top seven last season (Bayern, Dortmund and Gladbach). Following on from that, no team has seen more shots on goal against them than Fortuna Dusseldorf (an average of around 15 shots conceded per game), so expecting this to be largely a one way affair isn’t too far fetched. However, Fortuna have proven themselves competent in terms of attack, and it’s only really their defensive form that’s lacking – in fact, both teams have scored in eight of Fortuna Dusseldorf’s ten competitive home outings in 2018. Unsurprisingly as Bundesliga 2 champions, Fortuna had the single strongest home record in the German second tier last season (W10 D4 L3), however, this is unlikely to translate into top flight success against a side like Leverkusen, who do have the quality of players like national team winger Julian Brandt and Jamaican Leon Bailey. Going off this, there has to be some value in adding both teams to score to our prediction that Leverkusen will come away with a result on Wednesday. Our prediction: 2-1 Leverkusen. Both teams have scored in 8 of Dusseldorf’s last 10 competitive league home matches (80%). Leverkusen hold the joint second worst defensive record in the Bundesliga (8 goals conceded). Leverkusen have won just four of their away matches in 2018 (W4 D2 L4), failing to keep a clean sheet in each. Dusseldorf are unbeaten in three ahead league outings (W1 D2).